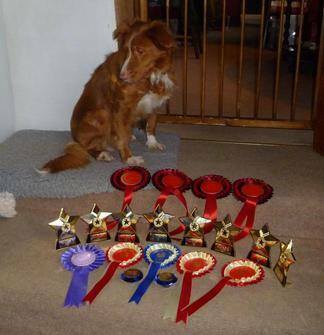 Storm is our second Toller and is also a fantastic ambassador for the breed. She has been headstrong at times, but is willingly have a go at anything asked of her. She has been out beating but due to her enthusiasm for chasing prey didn't go out for a while, now that she has matured and has a more 'steady' nature she occasionally went on a 'walked up' shoot where she just had a ball, doing what she has been bred to do. She has been shown and did reasonably well but eventually she decided that it wasn't fun any more so has been withdrawn from the show scene. In May 2009 Storm had six puppies (read about them on our litters page) and in April 2011 she gave birth to five more puppies (again there is more about them on the litters page). Storm is a registered PAT dog and like Pepper is proving to be a great success with the people she visits. 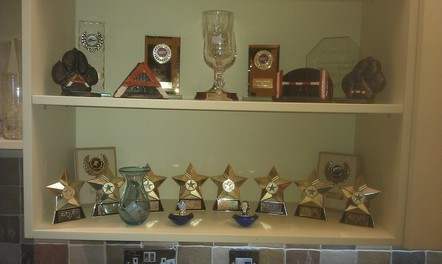 Storm has been awarded her Bronze agility warrant (May 2012), her Silver warrant (July 2012) and her Gold Warrant (September 2016) and moved to Grade 7 in Kennel Club Agility. Due to her age she has now retired from Agility and is concentrating on her career in Rally where she seems to be enjoying herself and doing reasonably well when we get to competitions. Storm is now enjoying her retirement in full, she is struggling to hear any more so spends her time lying in the sun and generally having an easy time. Dordale (spring) - 1st place in med agility 1-3, 3rd place med agility 1-3, 2 x 4th place in med jumping 1-3, 4 clear rounds in 1-7 jumping and 1-7 agility. 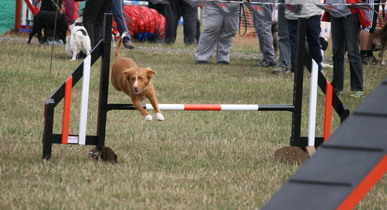 The first place in agility means she has won in to grade 4 and she has now collected enough points for her Bronze agility warrant.